Saturday’s DC Solar 300 at Las Vegas Motor Speedway marks the end of the 2018 NASCAR Xfinity Series regular season. Nine of the 12 playoff spots already have been secured. Drivers already having earned playoff spots by virtue of race wins or their positions in the points standings heading into the regular-season finale include Justin Allgaier, Christopher Bell, Tyler Reddick, Cole Custer, Daniel Hemric, Elliott Sadler, Brandon Jones, Matt Tifft and Ryan Truex. Ryan Reed, Ross Chastain and Austin Cindric head into Saturday’s race in the bottom three provisional advancing positions. All three drivers are safe, as long as one of them or one of the aforementioned drivers already with playoff spots clinched. A different new winner, though, would knock one of them out of position to get a playoff berth. To be safe, Reed would need to earn 23 points at Vegas. Chastain, meanwhile, would need to earn 38 points. Cindric would need help from fellow-competitors to finish out the regular season ahead of either Reed or Chastain. 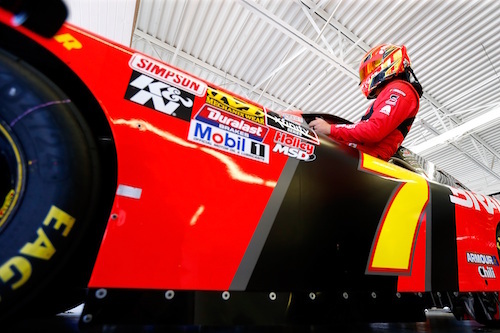 Allgaier is in position to take the 2018 NASCAR Xfinity Series regular-season title. All he needs to do in the DC Solar 300 to lock up the regular-season title, regardless of the performance of others, is accumulate 11 points.